As this is the first post on our brand new blog, I wish to heartily welcome you to our humble notebook. You can expect all kinds of articles here – from events, through news, to guides and useful information about our niche. And we surely hope you will like it! Let us begin, then. We are delighted to convey to you some information about an event. And it even starts today! 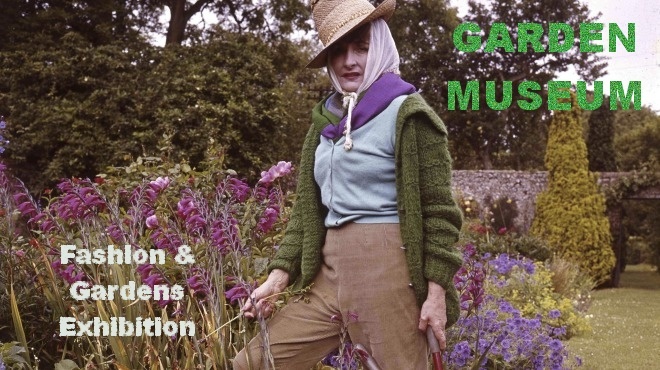 The Garden Museum is opening a great exhibition. It will be up from 07/12/14 until 27/04/14, so we will all have plenty of time to visit and marvel at their latest creation. The exhibition will be showing the correlation between fashion and garden design since the days of Queen Elizabeth I to our days, in 2014. An interesting and unique trait of this exhibition is, that the many links have existed for a really long time, but they are being shown just now. The featured designers will range from Valentino and Alexander McQueen to Philip Treacy and Christopher Bailey. They share the passion and draw inspiration from the garden. A very worthy point of interest will be the insights we can get. We’re going to see some of the private gardens of the head designers. And, of course, we will learn why are the gardens so important for them and will ponder how we can improve our garden clearance service. The working hours are from 10:30 am to 5 pm, every day. Tickets can be purchased there. If you need to contact them, you can phone 020 7401 8865.